It wasn’t easy returning to London from Italy. The first week back, and there was rain every day. Grey skies, autumnal temperatures, AND I was expected to be able to work 9-5 every day. Where’s the justice, the cappuccinos on the beach, the Bologna porticos and red-tinted palazzos? Eagerly I worked through the week, each day that passed taking me one day closer to the weekend, when an attempt to relive the Italy experience would commence. Our efforts were fairly successful. As the grey clouds passed and London finally began to heat up again, we headed to an Italian restaurant, Getti, on Marylebone High Street on the Saturday, where the smells of fresh mozzarella on a crispy thin pizza base were now wonderfully familiar – it was like an Italian homecoming. We even managed to utilise a little of our now polished restaurant Italian. Meanwhile, on the Sunday morning, it was a trip to Chelsea that satisfied all of our holiday yearnings. Sat out having a creamy cappuccino (again, Italian made) in the fashionable Duke of York’s square, in the full uninterrupted summer sunshine, felt just like being back on the Mediterranean. And, as is so often the effect of sunlight and warmth, it got us in the mood to indulge. Sadly for our wallets, this meant for subsequent glasses of prosecco, a large plate of Italian cheese, the undoubtedly unnecessary but practically irresistible purchase of various Olympics merchandise and even a new printer. Whoops. 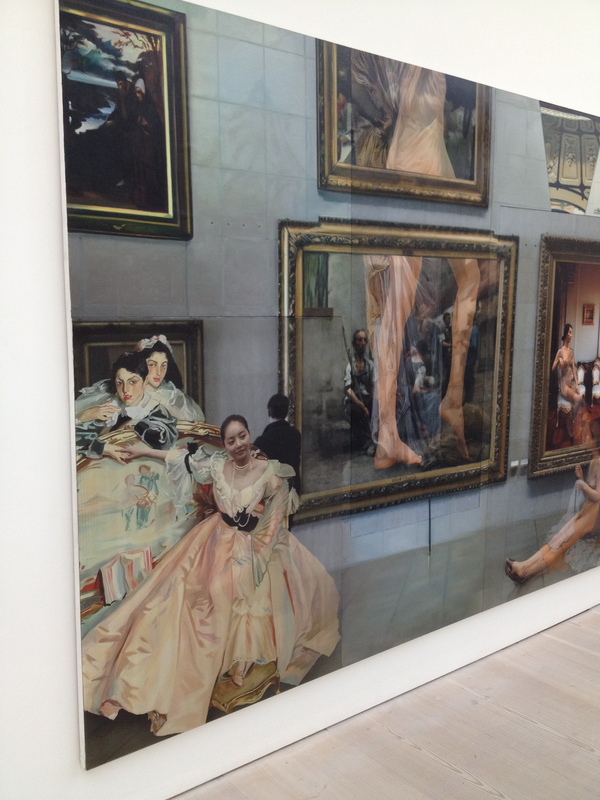 But with our minds opened by the light summer mood which befalls all of us when seduced by the sun’s rays, it was surely the perfect time to head to the Saatchi gallery, whose frequently changing works of contemporary art usually fail to impress me, if not make me despair. 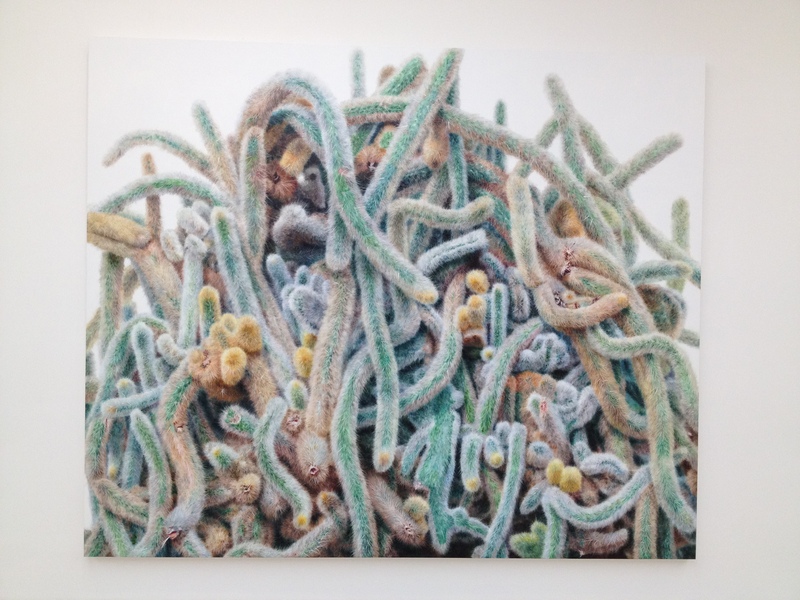 But whether it be the sun which had opened my mind, or just the sheer brilliance of the works on show, Saatchi’s new show, Korean Eye 2012, which is the largest survey of contemporary Korean art in the UK to date, is fascinating throughout. 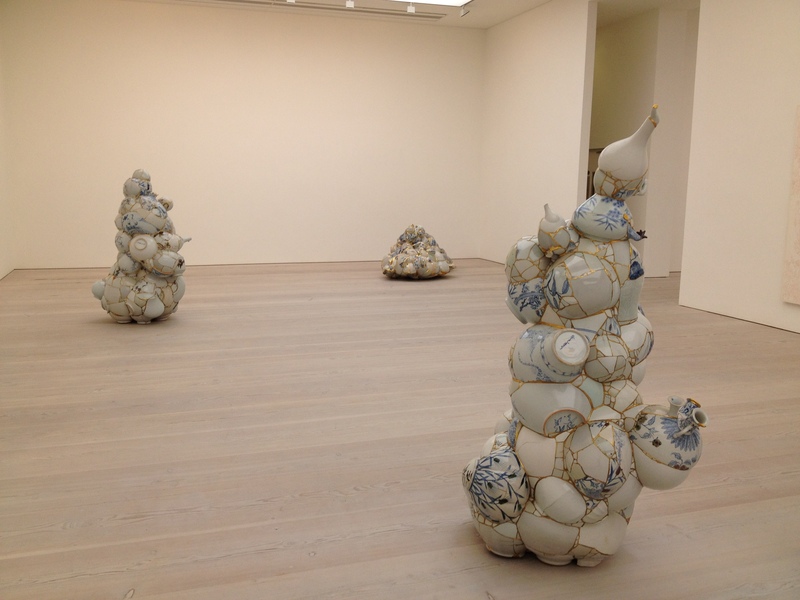 The show started with a trademark Saatchi huge white gallery full of very little. But that little there was on show was actually pretty cool. 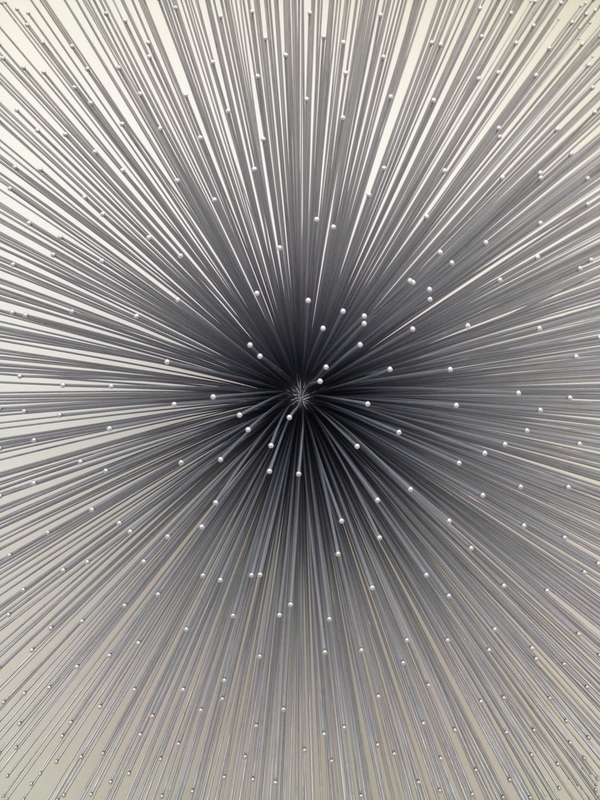 Yeesookyung’s Translated Vase (2007) aims to transform everyday objects into new contemporary forms. It’s a simple idea, but effective as a piece of contemporary sculpture – and I particularly liked the use of gold grouting which acts as a consistent element bringing the shards from various pots together as a single, newly innovated shape. 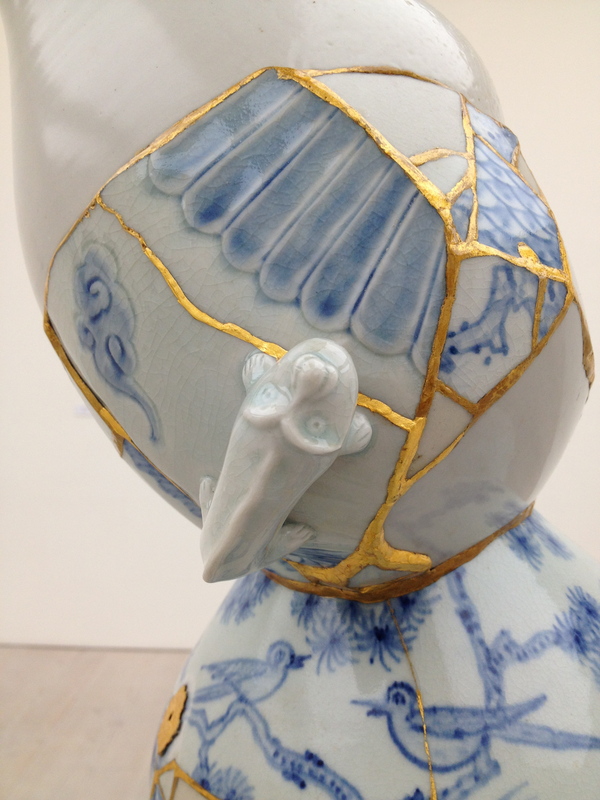 Also in gallery 2 were the 32 ceramic heads which comprise the work of Debbie Han, The Battle of Conception (2004-10). 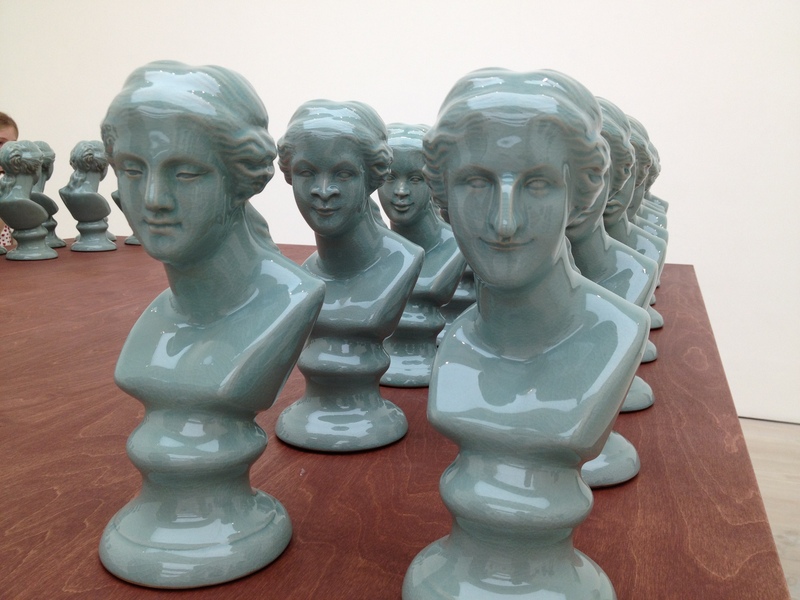 The heads look identical from a distance, but again, closer viewing betrays different facial features in each one, as the artist attempts to demonstrate with diverse facial features the different racial and ethnic characteristics that exist across the human race. In this respect, the work builds upon racial stereotypes, and explores the significance of human perception as the key to defining ourselves and others. 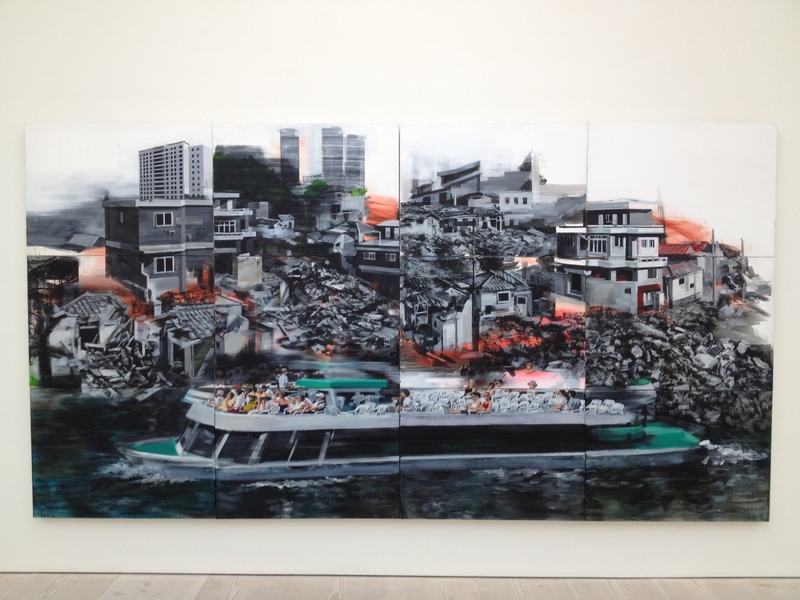 I also enjoyed this work, Cruise (2009) by Lee Moonjoo as it appears to reflect a stark contrast between the superficiality of the tourist cruise, and the desperation of a decaying, inner-city environment. The irony that a group of tourists, with cameras and visors in tow, should want to cruise past this sight is perhaps a statement about the extremes of society, and also perhaps a dig at the large tourist groups, who flash away on their cameras at almost any sight, without properly appreciating what it is before them. Ok, what you are about to see are, believe it or not, paintings. 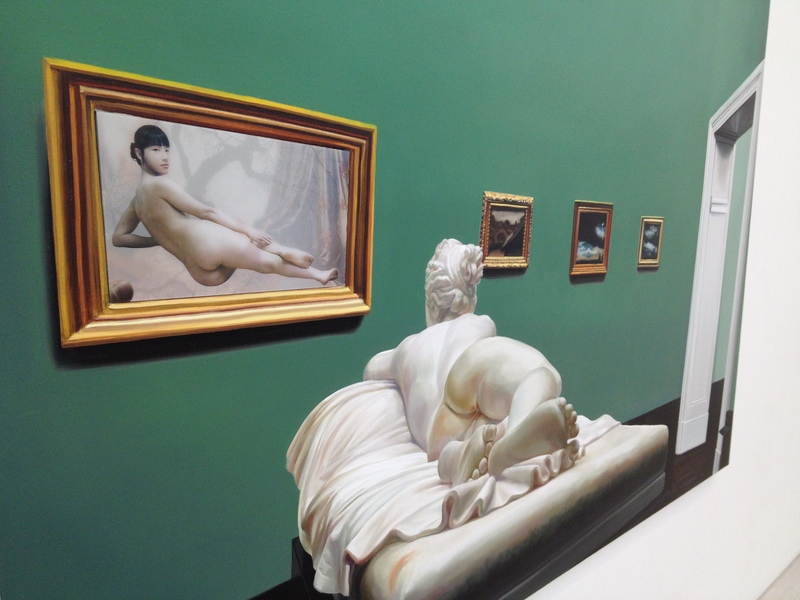 You have to walk extremely close to these works by Lee Kwang-Ho to realise that they are painted rather than photographed. 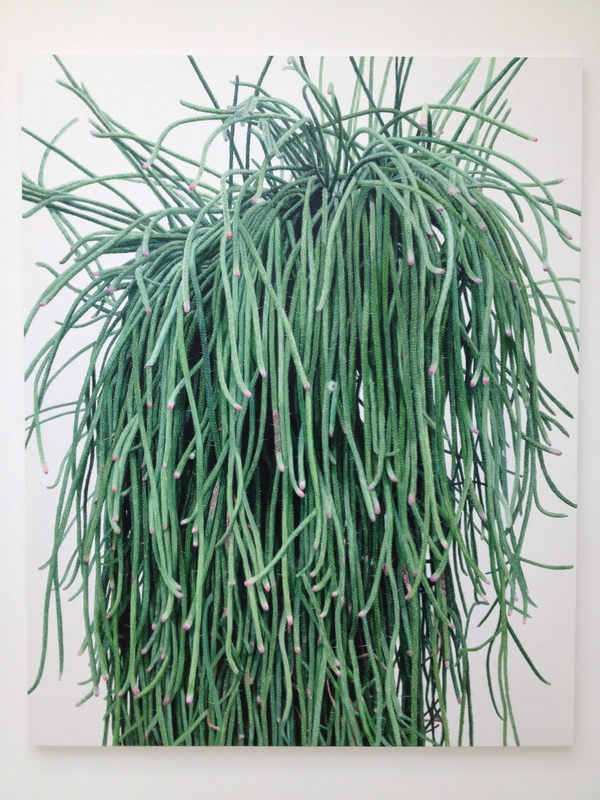 The sheer brilliance and skilful execution of these works is staggering, and unlike so many photorealistic works of our age, the subject matter is both decorative, but also enthralling, as the size of the canvases is sufficient to make the viewer almost intimidated by the size of this super-realistic prickly mass before them, while the scale of the works makes the humble cacti almost monumental, and abstract. Amazing. 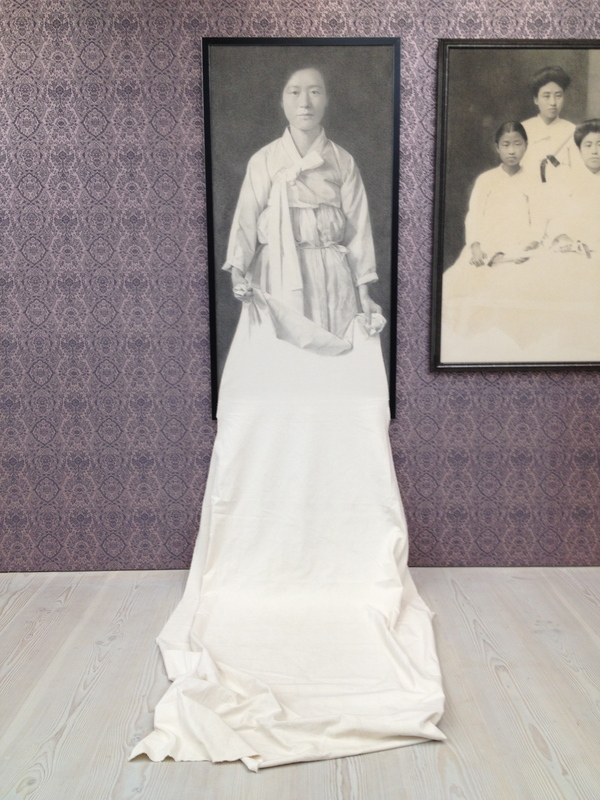 Moving on to Gallery 9, Cho Duck Hyun presents an entire installation, The Nora Collection (2009) of decadent rich wallpaper, hung with strangely surreal, haunting old family portraits. 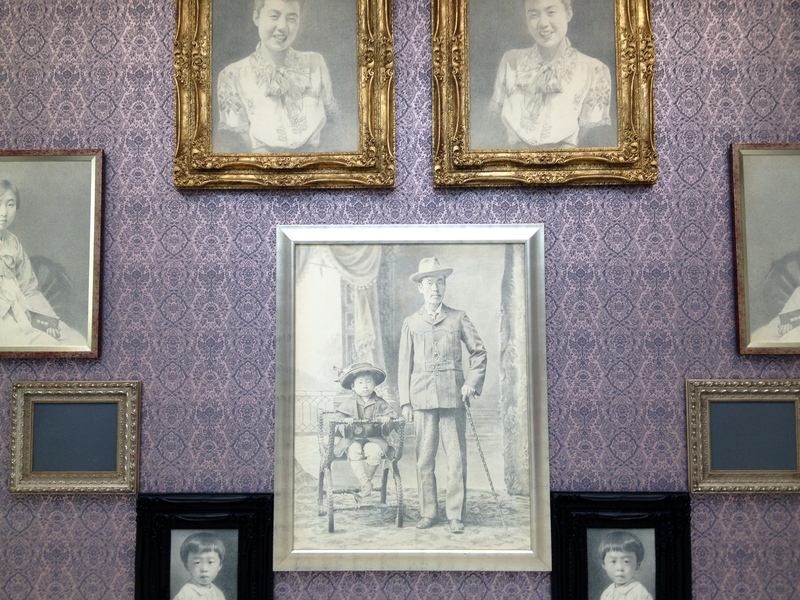 Some of the portraits are repeated but in reverse, other frames are left blank as though suggesting a death or absence from the carefully choreographed family unit. 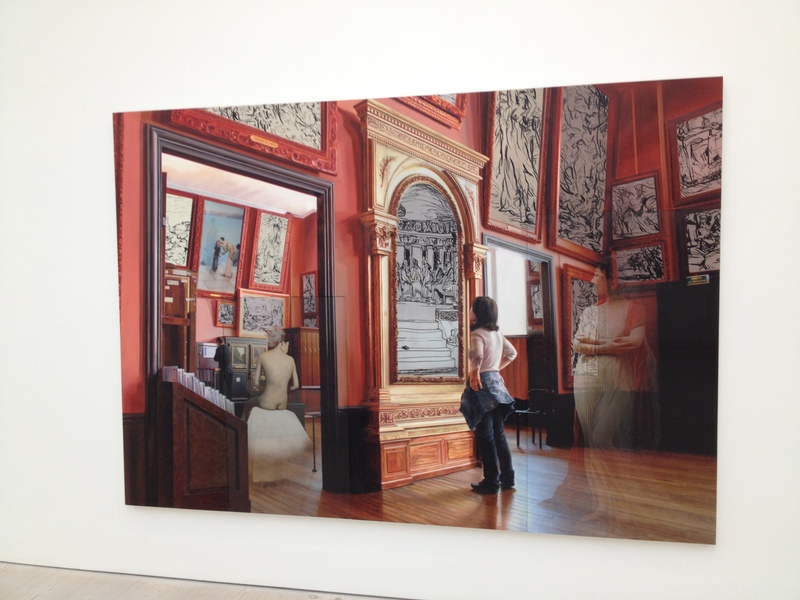 Meanwhile, a huge portrait of a woman wearing a wedding dress, and another woman holding a sheet spill seamlessly from the frame, so the works appear to verge on the edge of both 2 dimensional portrait and 3 dimension real-life sculpture. The effect of this is all the more startling because the photos are so old. It’s all very Doctor Who. 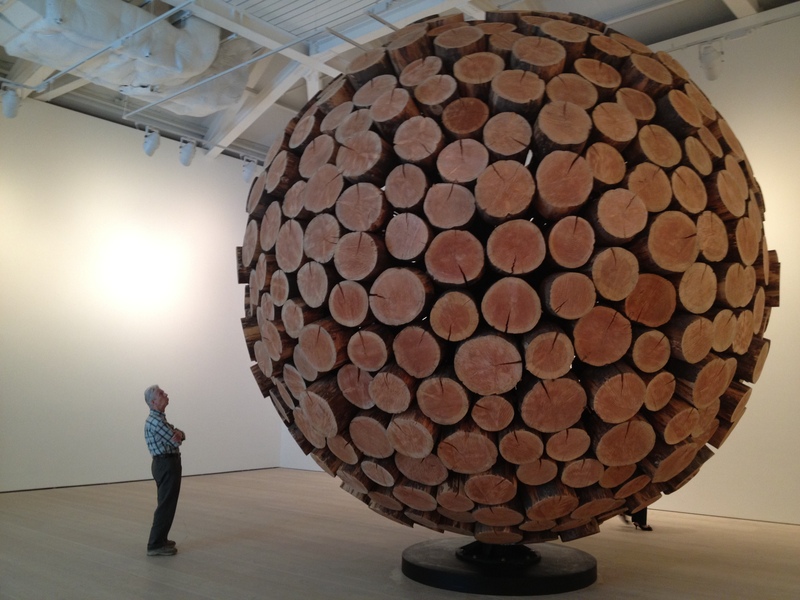 Things got even more surreal sculpture-wise in Gallery 10, where the huge wooden planatary construct by Lee Jaehyo (“0121-110=107041” (2007)) appears almost suspended menacingly and expectantly in the centre of an empty place. As you walk around it, appreciating the sheer scale of the piece, you can’t help wonder how something so large appears to be held upright on just a small fragile little base. Being the victim of a wall which fell on me back in 2008, I circled this piece with some trepidation. 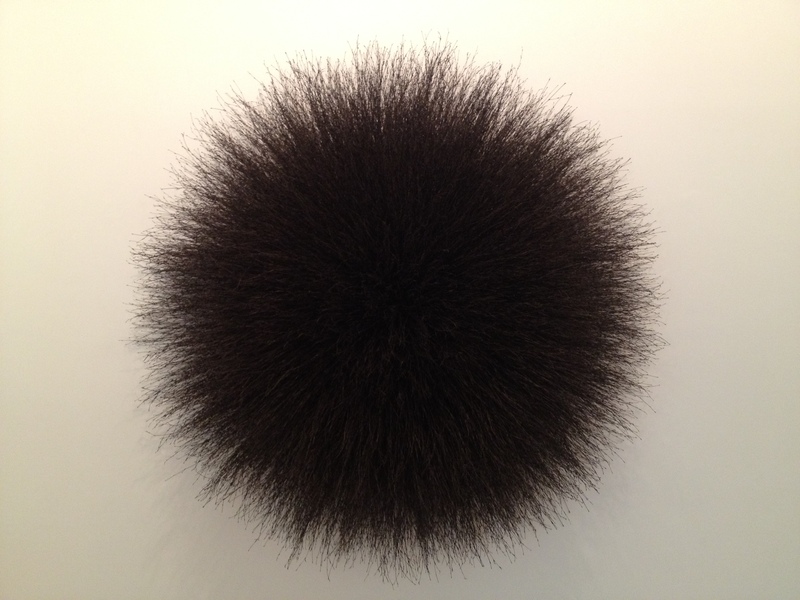 The other sculptural works which fascinated me were those by Kim Byoungho who presented almost atom like works which sprung forth from a central nucleus like a hairy dandelion or exploding star. So cool. 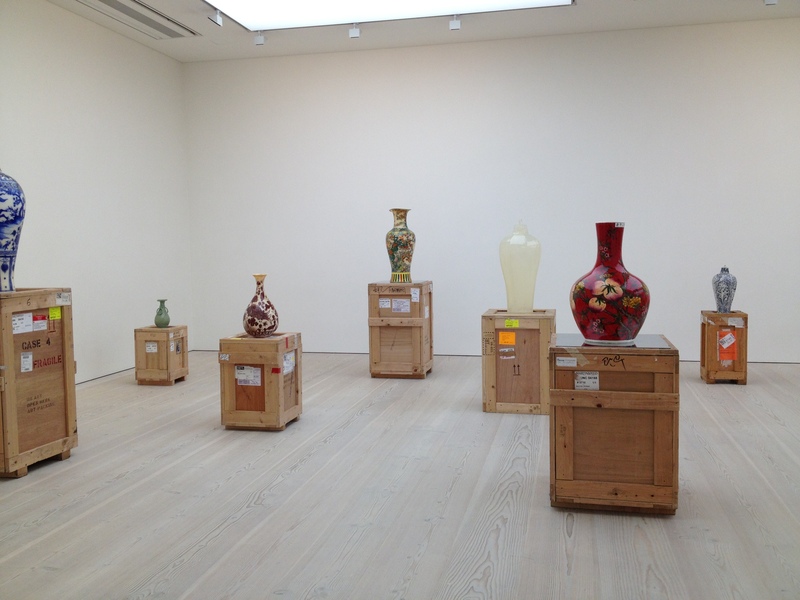 Of the many other works on show, I liked, finally, the simplicity of Meekyoung Shin‘s installation, Translation Vases (2011). The room is full of what look like valuable chinese vases but which are actually recreated from a silicon mould, into which melted soap is poured, hardened and then painted. The result is a fake which looks every bit as glossy as the finished work – solid, old and yet so unstable that maybe with a bit of water, these works could start melting away. Let’s hope they last until 23 September at least, when the show ends.